Toddlers often think they’re the ones in charge, but what would life be like if they really were? A whole lot of fun, if this video is anything to go by. 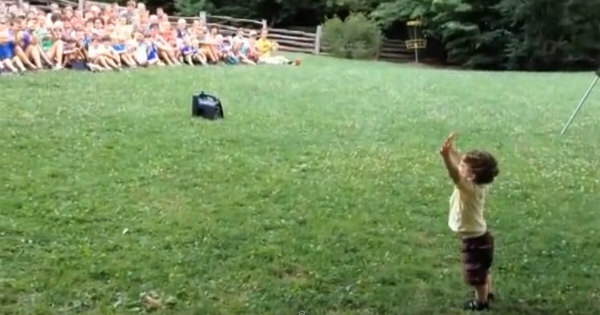 When 15-month-old Luke Radbill stood up in front of 500 boys at a US summer camp, he quickly cottoned on that they would follow his lead. And lead he did, taking them through a routine of clapping, cheering and arm-raising. 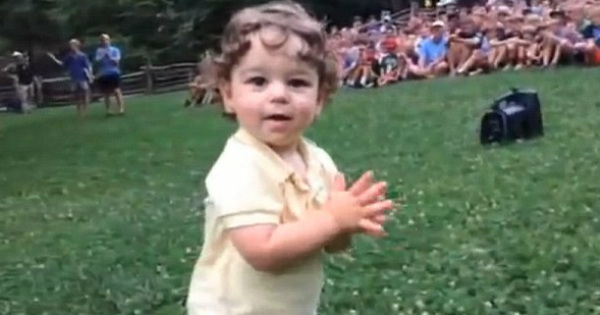 Check out the very cute video below – we’re sure it made his (and the boys’) day! Would your child love to be in front of a crowd like this?